Wireless Komponenten, IoT-Module, GNSS, WiFi, Bluetooth, LoRa, NB- IoT, Cellular, Bluetooth / WiFi, IoT-Antennen, 3G, 4G, Sensoren. Displays, Touch, Embedded und Zubehör als Design-In-Distributor. ADEO Heatpipe LTD produziert Lösungen um das thermische Management von Embedded - oder Industriellen Systemen, mit Wämeleitrohren oder Heizfolien. ADITECH is manufacturer of large size LCD-modules for signboards and customized stretched and fullscreen TFTs with power-saving LED backlight. With the high voltage expertise & technology of Excelsys, UltraVolt & HiTek Power, AE provides a comprehensive portfolio of high voltage components. 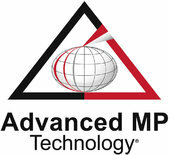 Advanced MP Technology, gegründet 1978, ist ein global lagernder Distributor elektronischer Qualitätsbauteile und erweiterter Supply-Chain-Services. Advice is a worldwide leader in the design, development and manufacturing of power products. Certified for ISO9001, AS9100. Provides high-reliability components for circuit protection, EMI filtering as well as Sn/Pb conversion of electronic components. 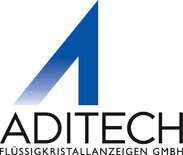 Next Level Advanced Microsystems, Optoelectronics and Packaging Services incl. Product / Process Development and High-End Chip Level Technologies.